SAGA Foundation, a nonprofit organization committed to cultivating leadership, has awarded a $1.1 million grant to Kalamazoo College to support the College’s mission to develop enlightened leaders. Bill Laughlin had a deep connection with Kalamazoo College that began in 1951 through Saga Corporation, a food and restaurant company he co-founded. He lived on campus with his dogs in Welles Hall for a short time. The deep connection between Laughlin and K began in 1951 through Saga Corporation, a food and restaurant company he co-founded that supplied the College with food service. 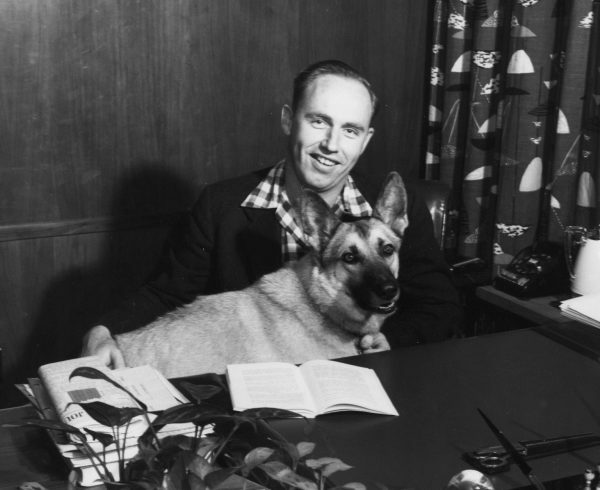 Laughlin headed the food service program and became a popular figure at K, briefly living with his dogs in the basement of Welles Hall. He occasionally taught economics and coached the golf team, which won five MIAA conference championships under his guidance in the late 1950s and early 60s. As Laughlin’s business grew, he served on the boards of more than 45 nonprofit, political and business organizations, including the College’s Board of Trustees from 1963-1980. SAGA Foundation was established to continue his charitable efforts and promote his values. SAGA Foundation President David Bartoshuk said Laughlin was a visionary who believed global problems require bold actions through collaboration, teamwork and open communication. Kalamazoo College, founded in 1833, is a nationally recognized residential liberal arts college located in Kalamazoo, Michigan. 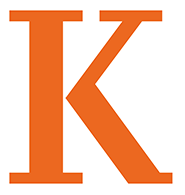 The creator of the K-Plan, Kalamazoo College provides an individualized education that integrates rigorous academics with life-changing experiential learning opportunities. This entry was posted in News Releases, News Stories and tagged grants, . Bookmark the permalink.